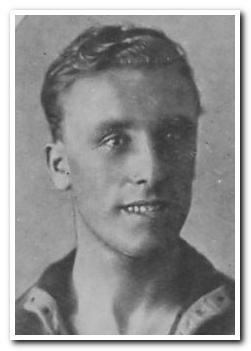 Joining Argyle for the club's second campaign in League football, Richardson was one of a trio of players signed from Barking Town in the summer of 1921 (Jack Leslie and Alf Rowe being the others). Unlike his colleagues from East London, the centre-foward made an immediate impact; in his first season he was almost ever-present and chalked up 31 goals. He spent less than two seasons at Home Park, but in that time achieved a historic pair of firsts: the first Argyle player to score a League hat-trick, away at Bristol Rovers in August 1921, and the first Argyle player to score a FA Cup hat-trick when he scored four at home to Bradford Park Avenue in February 1923. Richardson was Argyle’s first truly great goalscorer in League football, and with a better than one-in-two record, it was no surprise when other clubs showed their interest. He was lured away by Stoke City, with whom he completed the remainder of the 1922-23 season, before returning closer to home with West Ham United later in 1923. Remaining prolific throughout his career, Richardson later played for Swindon Town and Reading before a second spell back at Swindon prior moving to his last club, Mansfield Town.